A debut goal from Wes Fletcher ensured Motherwell claimed a 1-0 win over Inverness in the Highland capital on the opening weekend of the Ladbrokes Scottish Premiership season. 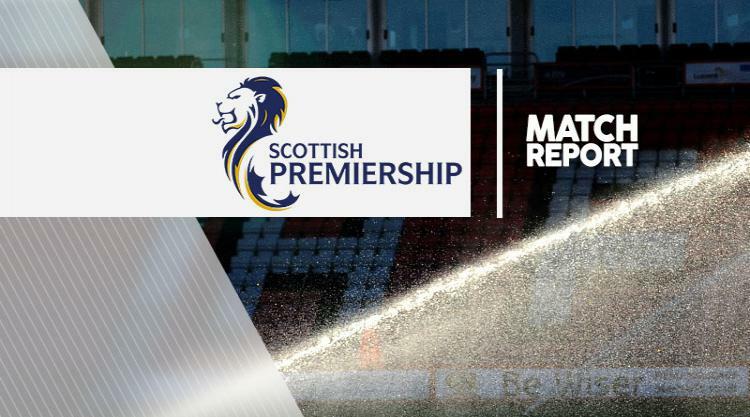 The only goal came in the fourth minute of the game, while Scott McDonald also had a penalty saved for the visitors, as a below-par Caley Thistle side failed to break down their stubborn counterparts. To add to the home side's woes, defenders Gary Warren and Josh Meekings were lost to injury for a team already bereft of numbers. Inverness named just five players on the bench as Richie Foran and Aaron Doran joined the injury list, alongside Carl Tremarco, James Vincent and Jordan Roberts. New signing Andrea Mbuyi-Mutombo started the game as a substitute as Ross Draper, in for Doran, was the only change from the Europa League defeat to FC Astra. Motherwell handed debuts to goalkeeper Connor Ripley, who signed on loan from Middlesbrough on Friday, former York striker Wes Fletcher and Joe Chalmers. The hosts could not have made a worse start as they went behind after just four minutes. Greg Tansey gave the ball away on the edge of the area to Fletcher, who fed Stephen Pearson. The former Derby midfielder saw his shot parried by Owain Fon Williams straight to Fletcher, who slotted home the opener. Fletcher was causing problems across the back four for Caley Thistle and was unlucky to see his second effort, a steering left-footer, shave the outside of the post. In stark contrast to their measured and assured displays in Europe, Inverness were awash with errors and the culmination of their sloppy start saw Danny Devine body-check Marvin Johnson in the area. Fortunately for the home side, Fon Williams judged McDonald's spot-kick perfectly, springing to his left to cling on to the ball. Mutombo was handed an earlier than expected debut, replacing Nat Wedderburn after half an hour, to try to inject some life into Inverness. The nearest they came to a goal was Ryan Christie's looping header, which Ripley comfortably claimed. A further blow was to come before half-time as stand-in skipper Warren was carried off after a hefty challenge from Pearson, before Meekings followed him off at the break. Motherwell started the second half in similar fashion and only Fon Williams and Devine kept the score down. McDonald's raking ball found Johnson in the area and his effort was well kept out by the goalkeeper, with Devine intervening on the line to deny Chalmers. Even with Mutombo involved and making the hosts a livelier prospect, clear-cut chances were not coming. Motherwell were content to sit off and allow Caley Thistle to have position at the back but put the squeeze on when they got into the final third. Josh Law and Louis Moult both had late efforts blocked for Well, but they had done enough to secure the perfect start to the new campaign.